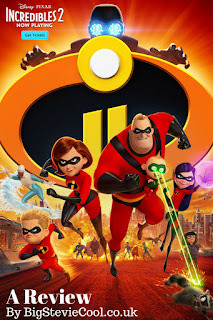 The film picks up exactly where the first film leaves off with the Incredibles chasing down The Underminer who is using his tunnelling machine to rob banks. The damage that is caused leads to renewed calls for Supers to remain illegal. 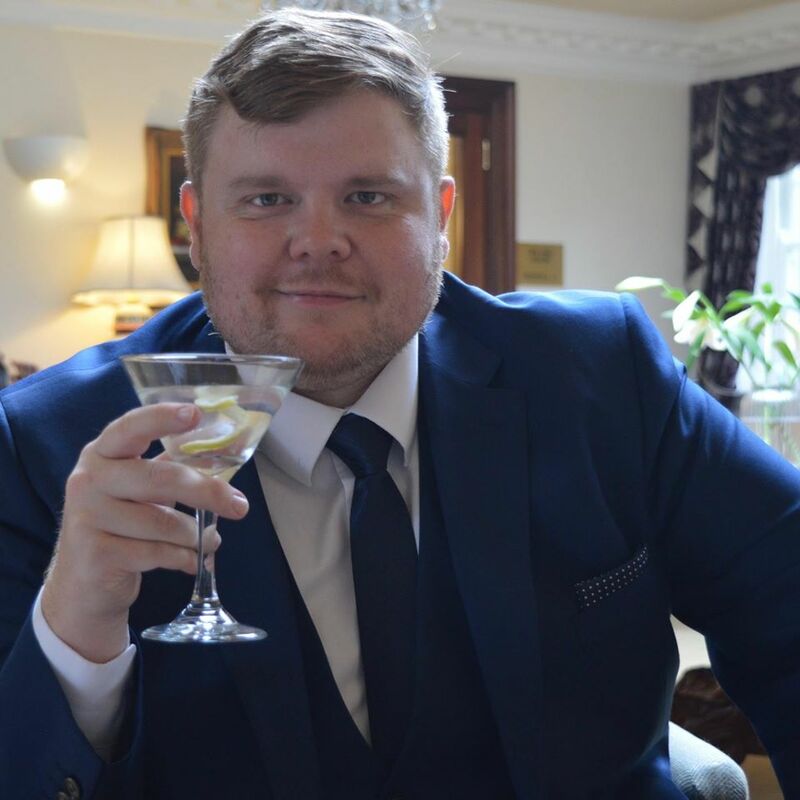 The family are then contacted by a rich businessman (Winston Deavor) who says the problem supers have is bad PR as people only see the damage they cause and not the good deeds that lead to the damage. They decide that Elastigirl should do a few missions with body cam to try and turn public opinion. With Elastigirl busy Mr. 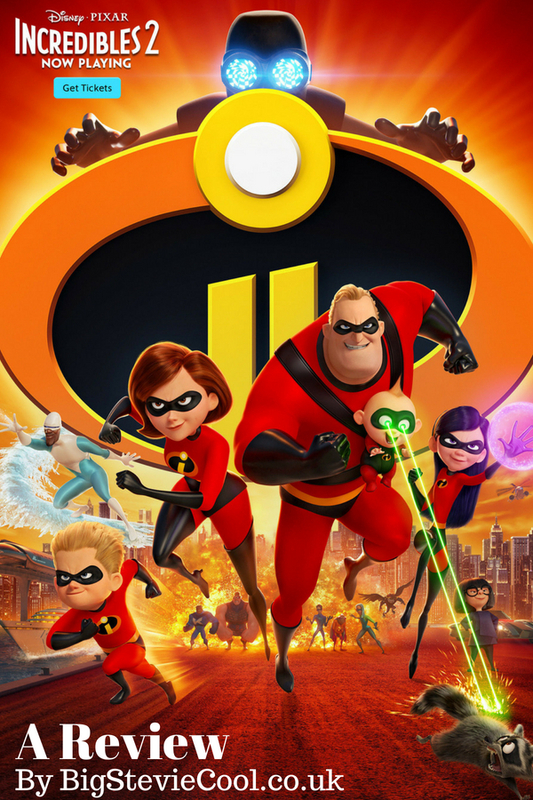 Incredible has to be a stay at home dad trying to work out son Dash's homework and daughter Violets love life as well as juggling Jack-Jack the Superpowered baby. These were some of my favourite scenes as being a father of 3 children myself, I found them very relatable. During Elasitgirl's missions a new villain emerges called the ScreenSlaver (Pixar really nail the superhero/villain names). The ScreenSlaver hypnotises people using computer screens and eventually hypnotises some supers to ruin all the good work Elastigirl has been doing. 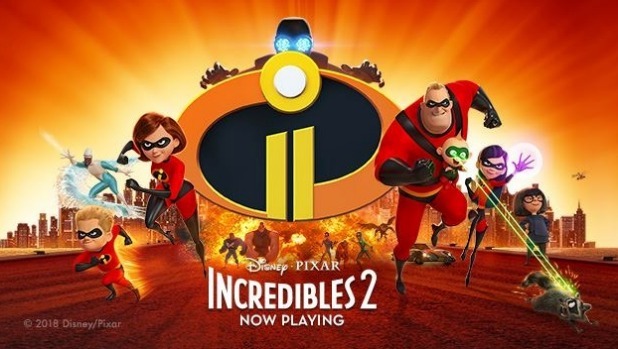 We all really enjoyed Incredibles 2 and it is, in my opinion, better than the original. Yes, the story is a bit predictable but the comedy is great and all of the characters are likeable. I really liked Jack-Jack and the best scene in the film is his fight with a racoon where all of his powers come to the fore. Mr. Incredible stressing about trying to be a good dad is also great. 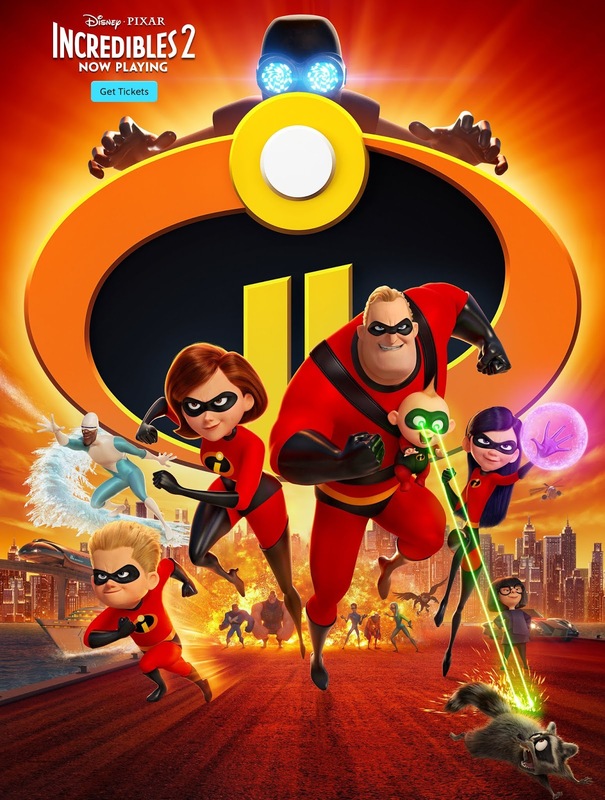 My only criticism is that the plot is pretty generic and some of the plot twists were obvious but then again it is principally a kids film and kids are stupid. Will there be an Incredibles 3? With this film pulling in pretty impressive box-office numbers I thinks it's inevitable there will be. But, how else can The Incredible family develop? I would like to see something a bit more imaginative along the lines of UP! and Monsters Inc. Will Jack-Jack have a bigger role in the next film? I certainly hope so.